Betisoare din lemn de agar/oud de calitate superioara, pur, fara alte ingrediente. 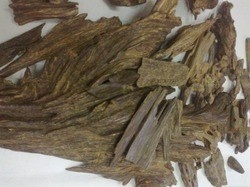 Agarwood or Oud is a dark resinous heartwood that forms in Aquilaria trees when they become infected with a type of mold. Prior to infection, the heartwood is relatively light and pale coloured, however as the infection progresses, the tree produces a dark aromatic resin in response to the attack, which results in a very dense, dark, resin embedded heartwood. 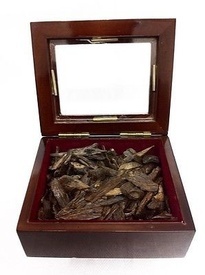 The resin embedded wood is commonly called gaharu, jinko, aloeswood, agarwood, or oud and is valued in many cultures for its distinctive fragrance, and thus is used for incense and perfumes. The odour of agarwood is complex and pleasing, with few or no similar natural analogues. 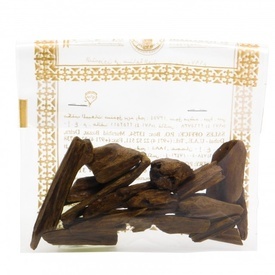 As a result, agarwood and its essential oil gained great cultural and religious significance in ancient civilizations around the world.